So if all you need is broadband Internet access to get TV service from Comcast, what’s to stop the company from offering its service through any broadband ISP? Nothing but greed. Tuesday’s Xfinity X1 demo was dazzling. Comcast execs boasted that you'd eventually be able to record every single program it offered over a 30-day period, because you'd have a virtually limitless DVR in the cloud. There's also a new remote with an integrated microphone, so you can control the system and perform searches with voice commands. And how about this: You can stream video from your phone to any other Xfinity X1 customer's TV, so grandma can see the kids' soccer game. You can also integrate your WeMo devices and create IFTTT recepies. And there's much, much more. But Roberts' post-demo dissembling over issues such as net neutrality, his company’s interest in acquiring Time Warner, and the hurdles the cable-TV industry has had to overcome over the past 60 years was even more entertaining. 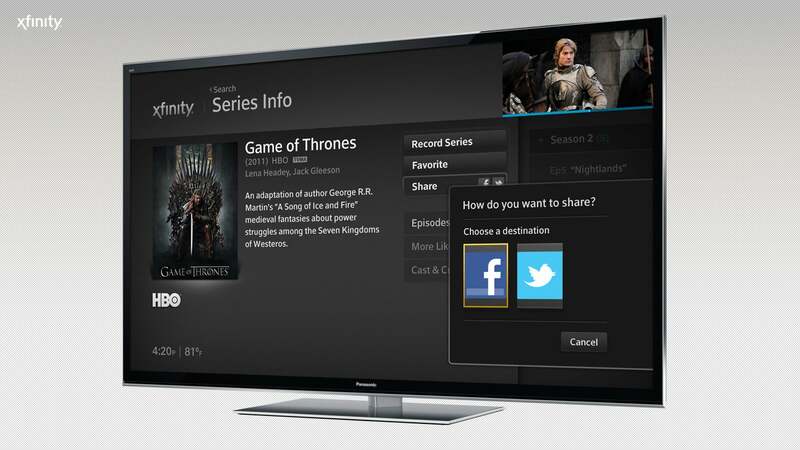 Comcast is promising all sorts of advanced features for its Xfinity X1 cable-TV service. Well, monopolies don’t make a lot of sense, either, but those early cable companies wouldn’t serve a municipality without a guarantee that rooftop antennas and rabbit ears would be their only competition. Comcast doesn’t really care about cable-TV franchises; it cares about controlling the Internet’s infrastructure. Poor, Comcast. All those regulatory shackles limited its 2013 revenue to a measly $64.6 billion. 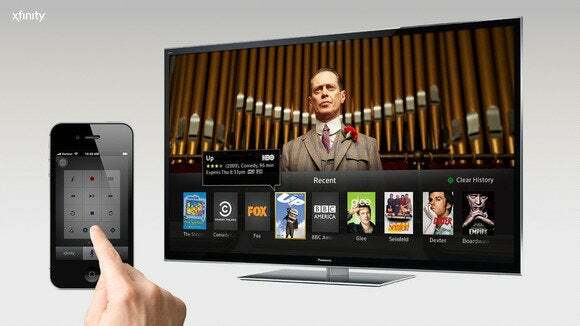 In reality, Comcast doesn’t need franchises anywhere to offer their new TV platform. If Infinity X1 truly is a cloud service, Comcast could deliver it over any ISP’s pipes—just like Google, Amazon, Netflix, and countless other companies deliver their services over Comcast’s pipes. But Comcast won’t do that because it would mean giving up the opportunity to also sell Internet, phone, smart-home services, and who knows what else down the road to those same customers. Comcast doesn’t really care about cable-TV franchises; it cares about controlling the Internet’s infrastructure. “Competition has spurred innovation more than regulation has,” Roberts said. True. But without regulation, there would be no competition. Note: This story was updated to correctly report Comcast's 2013 revenue. The original story reflected only fourth-quarter revenue.